Nightmares & Nightcaps Actor Profile: Joshua Servantez! What are/were the careers of your parents? Mostly in the medical field. So naturally I had to be different. Do you have any Siblings? I have a sister! I always wanted a brother but I got her instead. Oh well. Current favorite audition song or monologue to use: I'm not giving away my secrets to staying booked! Why did you want to be a part of Nightmares & Nightcaps? I've always thought BBEP shows were fun and extremely pleasing to the eye. I wanna be pleasing to the eye. Current or recent show in Chicago (other than N&N!) that you think is must-see: I just finished The Adventures of Spirit Force Five with The Factory Theater. It was a helluva time. If you didn't see it then you've missed it and I'm sorry for you. Worst onstage mishap: I fell once. It hurt. Like...a big fall. There were bruises and emotional scars. I don't wanna talk about it. Worst costume ever: I wore a wig in the show where I took a big fall. My ego is hurting now. Worst job you ever had: I worked at a restaurant during a holiday season and I've never hated a job more. Craziest audition story: I don't really have a crazy audition story...maybe one will happen soon. Who knows? What were you afraid of as a child? Bad weather scared me. Growing up in Texas, we're taught to be afraid of tornadoes so I used to think wind on a rainy day meant I had to hide in a cellar and pray. So, What John Collier Stories Are You Doing? WARNING, IF YOU KNOW THESE STORIES THE LIST BELOW MAY SPOIL PARTS OF THE SHOW. Are You Too Late, Or Was I Too Early? A reclusive apartment dweller begins to suspect that his apartment may be haunted. Over Insurance A young couple in love learns the hard lesson that money worries can be death to romance. Incident On A Lake When Mr. and Mrs. Beasley inherit a vast sum of money and embark on a world tour, their troubles have only just begun. Thus I Refute Beelzy All is as it should be at the Carter household, until one afternoon tea when the Father of the house asks about his son’s imaginary friend. Squirrels Have Bright Eyes A young man is desperately, hopelessly in love with a Huntress who barely knows he exists. Nothing that a little determination and creative taxidermy can’t fix. Pictures in the Fire A down-on-his-luck screenwriter signs a contract with a filthy-rich film producer who seems to have been everywhere, seen everything, and known everybody. The only downside is the two-month options on him for all eternity. The Chaser Aren’t love potions wonderful? Who the Heck is John Collier, Anyway? A poet, having grown disenchanted with the world, decides to forsake it and live the rest of his days in a large department store, evading discovery by pretending to be a mannequin. Upon arrival, he discovers that the store is already inhabited by a secret society of people who over the years have had similar notions, all of them hiding from the world. Among this society is a charming young woman who didn’t choose to forsake the world. Instead, she got lost in the store as a little girl and was kept as a servant by the society’s imposing matriarch. The young man and the young woman fall hopelessly in love, and are determined to run off together. Unfortunately, the leader of the secret society finds out about it and places a call to a different secret society that lives in the nearby mortuary. The ‘dark men’ of the mortuary come and permanently turn the young lovers into mannequins despite their attempt to escape. Sound weird? It is. But it also sounds fascinating. The above tale, titled “Evening Primrose,” is a perfect example of a John Collier story, and has gotten under the skin of such prominent artist as James Goldman and Stephen Sondheim, both of whom collaborated to adsapt it into a televised musical of the same name starring Anthony Perkins. Our world premiere production, Nightmares & Nightcaps, weaves together several of his best stories (though not Evening Primrose) into a single evening of darkness and delight. We hope you’ll join us- performances are August 17-September 15 in Chicago. Announcing the 2018-2019 Season for Black Button Eyes Productions! Tickets for our winter 2019 production, Evil Dead the Musical, are on sale now!- here's the link! Black Button Eyes Productions is pleased to announce its 2018-19 season, kicking off late this summer with the world premiere of NIGHTMARES AND NIGHTCAPS: The Stories of John Collier, a non-musical adaption of British author and screenwriter John Collier’s phantasmagoric short stories. Written and directed by Producing Artistic Director Ed Rutherford, the production will feature choreography by Derek Van Barham and star Kevin Webb with additional casting to be announced. The season continues in winter 2019 with the Chicago storefront premiere of EVIL DEAD: THE MUSICAL, a parody of Sam Raimi's classic Evil Dead horror films. Directed by Producing Artistic Director Ed Rutherford with choreography by Derek Van Barham, this spooky send-up features book and lyrics by George Reinblatt with music by Christopher Bond, Frank Cipolla, Melissa Morris and George Reinblatt. NIGHTMARES AND NIGHTCAPS: The Stories of John Collier will be staged at The Athenaeum Theatre (Studio Two), 2936 N. Southport Ave. in Chicago. Tickets are currently available at athenaeumtheatre.org, by calling (773) 935-6875 or in person at The Athenaeum Theatre Box Office. EVIL DEAD: THE MUSICAL will be staged at Pride Arts Center (The Broadway), 4139 N. Broadway, Chicago. Ticket will go on sale at a later date. Before the Twilight Zone, there was British expatriate John Collier, writing humorous stories about the bizarre and fantastical for The New Yorker and sardonic screenplays in Hollywood throughout the first half of the 20th century. In this world premiere adaptation, an ominous host weaves together Collier's comic tales of love, loss and the mysterious for the audience's delight. It just wouldn't stay dead. Black Button Eyes Productions brings this loving musical parody of Sam Raimi's classic Evil Dead films back to the city for its Chicago Storefront Premiere. When a group of fresh-faced college kids go to a cabin in the woods for spring break, it's only a matter of time before spells are spoken and demonic possession begins. Take in the horror and hilarity in the gritty storefront setting where this show belongs! About the Artists: Ed Rutherford (Adapter, Director) For Black Button Eyes, Ed most recently directed the Jeff-Recommended production of Nevermore - The Imaginary Life and Mysterious Death of Edgar Allan Poe (Chicago premiere), preceded by Shockheaded Peter (Chicago storefront premiere), Amour (Chicago premiere), Goblin Market and Stephin Merrit's musical adaptation of Coraline (Midwest premiere). Recent directing credits elsewhere include the Jeff-Recommended productions of The Liar with Promethean Theatre Ensemble and Paula Vogel’s The Baltimore Waltz at Brown Paper Box Co. He is an artistic associate at Promethean, where he staged his own world premiere adaptation of the Peter S. Beagle fantasy novel The Last Unicorn, Brecht’s The Caucasian Chalk Circle and the company's inaugural production, Christopher Durang’s Beyond Therapy. 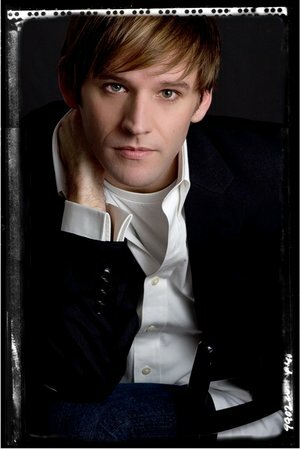 As an actor, he has performed with Drury Lane Oakbrook, Porchlight, Theater Wit and many others. A graduate of Northwestern's theater program, he is currently completing his MBA at Kellogg. The 2018-19 season continues Black Button Eyes Productions' mission to bring to Chicago premieres and seldom-seen works containing elements of fantasy, in which the magical and surreal invade reality. The company was founded in 2014 with the acclaimed Midwest premiere of the musical Coraline, and continued in 2015 by producing the musical Goblin Market in its first Chicago production in over 15 years, attended by the author, Chicago native Polly Pen. In the past few seasons, the company has produced the Chicago premiere of the musical Amour, the Chicago storefront premiere of Shockheaded Peter, and the Chicago premiere of the musical Nevermore - The Imaginary Life and Mysterious Death of Edgar Allan Poe. 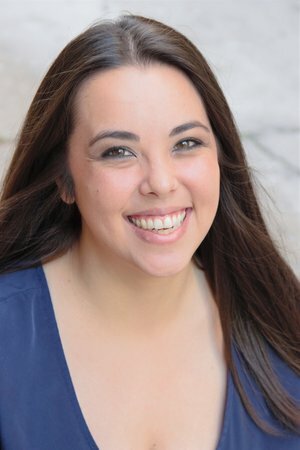 Nevermore Actor Profile: Megan DeLay! Where you were born/where were you raised? Born in Wisconsin, but mostly lived in Minnesota growing up. Current favorite audition song or monologue to use: A song I love using for auditions is “Mira” from CARNIVAL, a show I think needs a revival. Why did you want to be a part of Nevermore? I loved working with Ed on THE LIAR and got the chance to see SHOCKHEADED PETER. After the great experience I had and the fantastic show I saw, I knew that NEVERMORE was going to be something very special! I am so thrilled to be a part of this production! Recent show in Chicago (other than Nevermore) that you think is must-see: MARIE CHRISTINE, J.B., TWAS THE NIGHT BEFORE CHRISTMAS, and IN THE NEXT ROOM is a favorite show of mine. Favorite Edgar Allan Poe poem or story? I’ve always loved “The Tell-Tale Heart” and now being familiar with more of his work, I really like “The Black Cat” and “Lenore”. What's your favorite non-Poe scary art? (can be a movie, book, painting, song, etc.) Edward Gorey! Most played song in your music collection: My “bedtime” playlist of ambient sounds. Favorite or most memorable onstage role as a child/teenager: During a community theatre production of HANS CHRISTIAN ANDERSON, the boy playing “Peter" got sick and I went on last minute as “Petra”. Worst onstage mishap: During a production of GAME OF LOVE AND CHANCE, I was about to make an exit when a piece of the door frame above me fell off and hit me on the head. I was fine, just a little bruise on my head and the show went on! Worst costume ever: I played a raccoon in a children’s production and the worst thing was that the costume was a onesie and a quick change but the zipper was always malfunctioning. More than once I had hold my onesie closed with my paw while dancing around to holiday music. Worst job you ever had: I’ve had so many jobs, but the most stressful was as a bike tour guide through Central Park in New York. I was terrified that I would lose tourists along the way. Craziest audition story: I don’t know if I have a “craziest”, I’ve just had so many that felt awkward or I was just out-of-my mind nervous. Role(s) you’ve been dying to play: There are so many I’d love to tackle, you could pretty much name a show and there would be a role I’d love to explore. What were you afraid of as a child? Dogs. Absolutely terrified. Not any more. I’ve love to adopt a dog, but instead I have a cat that acts like a dog. Nevermore Actor Profile: Mike Frale! Do you have any Siblings? No. Why did you want to be a part of Nevermore? Seemed like a really interesting show and company to be involved with! Favorite Edgar Allan Poe poem or story? "The Raven." Favorite or most memorable onstage role as a child/teenager: In high school, I was in a production of Hairspray and I spent an entire scene running back and forth behind a fence during a scene with a dodgeball game. My family still references it. Worst costume ever: I was performing in A Little Night Music and I personally loved the costume, but all of my friends and family thought I looked like Captain Crunch. I even had the mustache. Nevermore Actor Profile: Ryan Lanning! What are/were the careers of your parents? My father was a high school math teacher and my mother was an accountant. Do you have any Siblings? I have two older brothers. Why did you want to be a part of Nevermore? I like the storytelling aspect of the play and I think Ed will do something creative and interesting with it. What's your favorite non-Poe scary art? (can be a movie, book, painting, song, etc.) I don’t think it’s scary really, but I’ve always been a fan of Agatha Christie’s writing. Most played song in your music collection: I wish it was something more interesting, but honestly, it’s Sia’s “I’m Alive”. Favorite or most memorable onstage role as a child/teenager: I played Sir Dinadan in a production of CAMELOT my junior year of high school. It was memorable because it was a joint venture between both high schools in Midland, which wasn’t something that was done. My best friendships were forged during that show, and that’s why it’s my favorite. Worst onstage mishap: Completely forgetting where I was in the show during a performance of HEDWIG AND THE ANGRY INCH. I eventually got back into it, but those seconds were an eternity. Worst costume ever: It didn’t make it into the actual show, but my original costume for “Only in the Movies” in KISS OF THE SPIDER WOMAN was a bedsheet draped over me like a gigantic blue and white toga. It was hideous. Worst job you ever had: Summer stock in Indiana. The cast lived in a converted chicken coop and rehearsed on a concrete floor. The theatre roof leaked whenever it rained and we were eventually shut down because the theatre owner wasn’t paying for show rights. Craziest audition story: Not really crazy but fun. Boho’s LA CAGE AUX FOLLES back in 2009. They had us come to the generals in full drag. Role(s) you’ve been dying to play: There are so many…a couple I’m actually right for. What were you afraid of as a child? Bullies. Nevermore Actor Profile: Matt McNabb! 7. Why did you want to be a part of Nevermore? First and foremost the score. It has a unique haunting atmosphere, and I relish the opportunity to rock out and to sing some great harmonies with this cast. 9. Favorite Edgar Allan Poe poem or story? The Fall of the House of Usher-my dad bought me a graphic novel of this story when I was younger, and it's always captivated my imagination. During "City on Fire" in Sweeney Todd, the stage was slippery and I totally wiped out before exiting. I made it work though. Sweeney Todd, Nick Bottom, MacBeth, Titus Andronicus, The Baker, Papageno, Pagliacci, Amos Hart, Charlemagne, Max von Mayerling. 16. What were you afraid of as a child? Nevermore Designer Profile: Robert Hornbostel! Current or recent show in Chicago (other than Nevermore) that you think is must-see: Billy Elliot at the Ruth Page with Porchlight Music Theater! Worst job you ever had: Working in Hospitality at Lifetime Fitness as a teenager. So many bodily fluids to clean up.